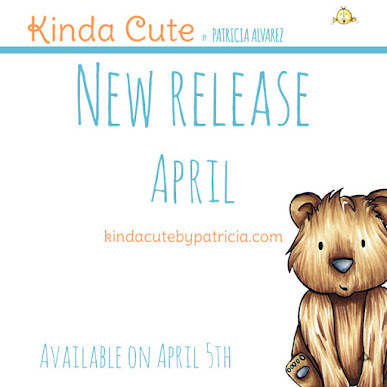 Kinda Cute Cards: Y Olé! It is time for a new challenge at Inspiration Destination and as usual the theme is Anything goes. I am showing you a card I made using Sevillana Sketch digital stamp. I colored it with copic markers and I made the background with watercolors. I wanted to make the letters raised up and cutting them from the background as I have seen in so many gorgeous cards...oh well... the result is not very good, and I encounter several problems, but at the end the card got done and I learnt what not to do next time I do one of this cards. Like choose the right glue, haha. I hope you liked the card and you enter in our challenge!! Gorgeous card Patricia love it !! Super colouring of your flamenco dancer. Cute as and fabulous layout. Love it. Thanks for sharing with us at ATSM. 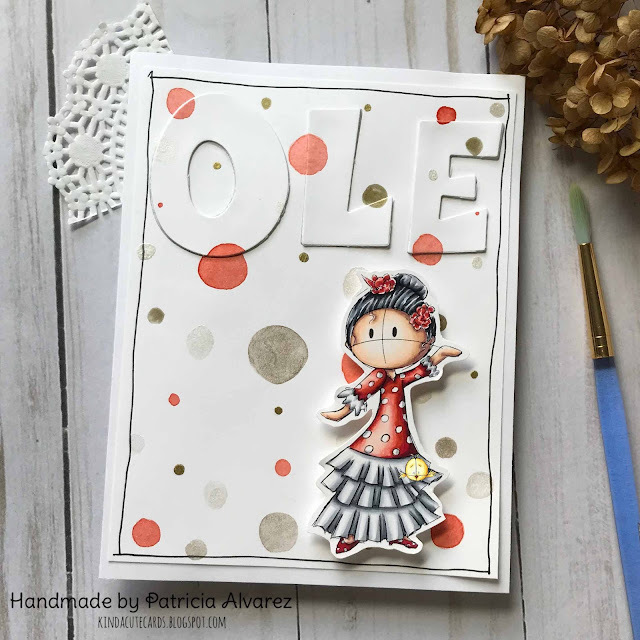 What a fabulous card, love the sweet flamenco dancer and the great sentiment.